Winter favorite! 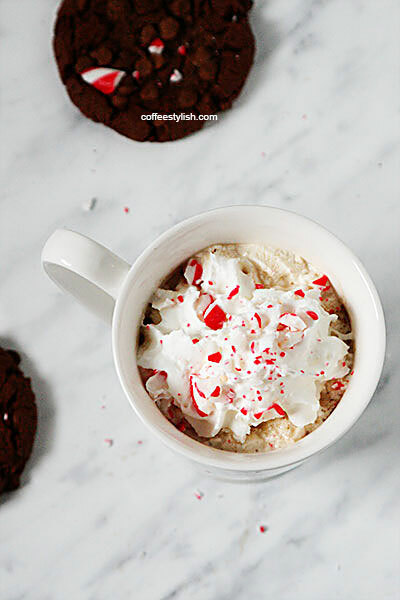 A comforting chocolate peppermint mocha recipe, made with chocolate chips and crushed peppermint candy. Brew coffee and pour into the mug. Heat the milk until steaming, add chocolate chips and peppermint extract (or crushed candies) and stir until chocolate and peppermint are melted. Slowly add milk to your coffee while stirring. Sugar to taste. Garnish with whipped cream and crushed peppermint. Super simple to make! Also, this peppermint mocha version has like, half the calories, compared to one from Starbucks. Dairy-free: If you would like to make a dairy-free chocolate peppermint mocha, grab this recipe and just add 1/8 tsp peppermint extract to the recipe. 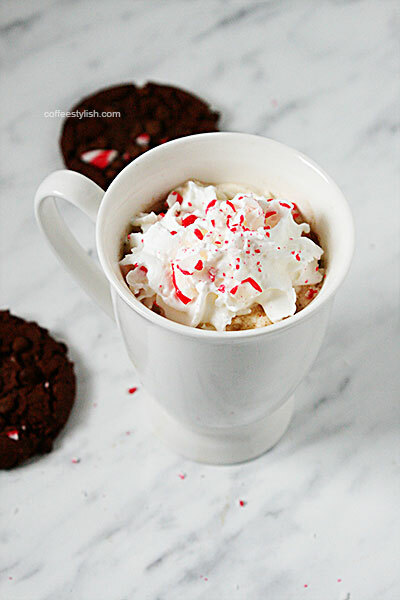 White chocolate peppermint mocha: Making white chocolate peppermint mocha is just as easy. PS. Happiness is homemade and, if it’s also good for your budget, then you have a perfect excuse to stay home and drink fancy coffee in your pajamas. So, next time you’re craving a nice coffee treat in the morning, but can’t actually bring yourself to put on pants and leave the house to get it, come back here for this recipe. Or, you can go straight to the recipe index page to browse all the recipes. They are all straightforward, quick, and easy on the wallet.